Autumn is the time for counting island foxes across the Channel Islands and providing them with health checks. 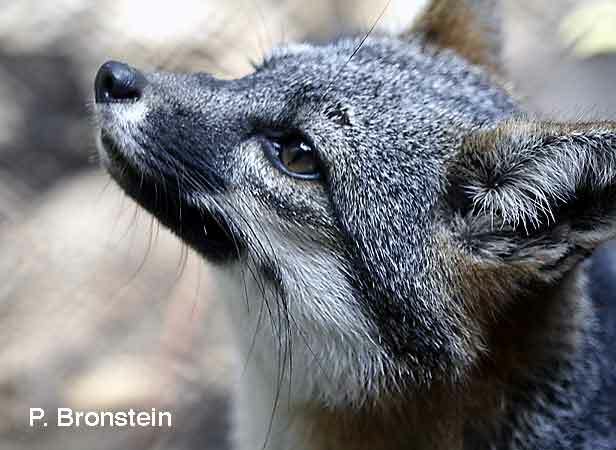 Early word from our friends at the Catalina Island Conservancy is that island fox numbers are up and they may see their population reach a 1000 this year! 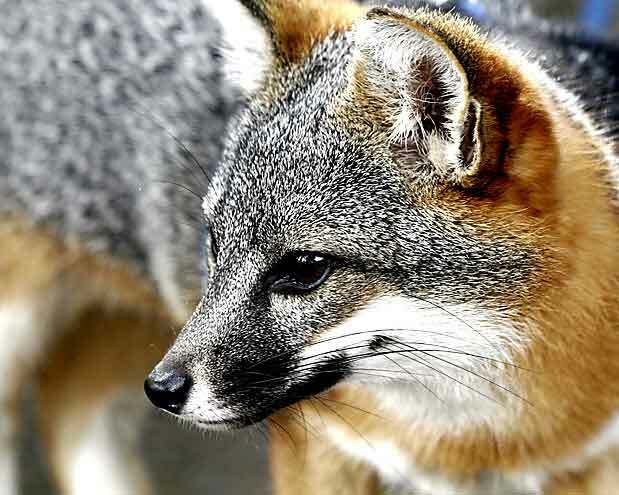 Considering that the Catalina Island fox was nearly wiped out by the introduction of the distemper virus in the late 1990s, the rebounding of the wild population is a huge success story. Friends of the Island Fox has participated in this recovery by funding radio tracking collars for island foxes on Catalina. The CIC has posted a wonderful slide show of the whole capturing and health check process. Click HERE to visit the slide show. Read more about Island Fox Health Checks and listen to biologist Julie King as she does a health check in the field. Friends of the Fox offers an interactive Fox Health Check Presentation to teach children and adults about the island fox and the work biologists actually do in the field. Everyday humans create mounds of trash. 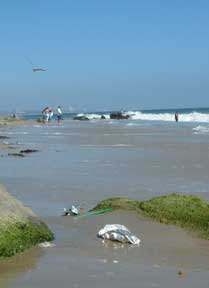 Too often that trash washes off sidewalks into gutters, down storm drains and into the ocean. Bits of plastic are dropped on the ground. Plastic bags swirl in the wind and end up in streams and seas. A plastic bag or balloon can be mistaken for a jellyfish by a hungry sea turtle. Bits of plastic on the beach can get swept into the ocean by the incoming tide. Once plastic enters the ocean, fish and birds mistake the colorful bits for food. When they eat the toxic plastics it can mean their death or it can mean they are no longer healthy food for other animals in the foodweb like island foxes and humans. 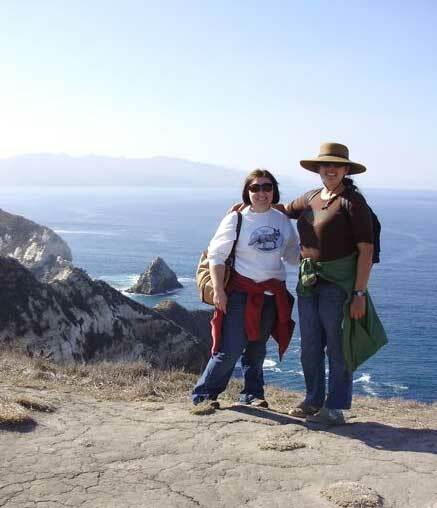 Friends of the Island Fox is joining forces with the Channel Islands Park Foundation to clean-up the beach near the Channel Island National Park Visitor Center. 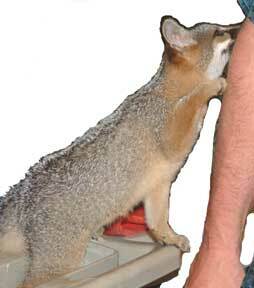 Do Not Feed Them - Island foxes are smart and they know people have food. But feeding an island fox can threaten its life. 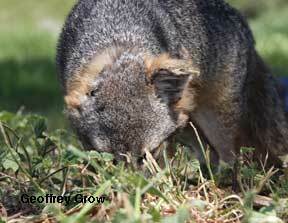 Human food is not good for island foxes and does not provide the necessary nutrition. Wild foxes, especially juveniles, that become dependent on handouts never learn to forage for natural food and can die when their free food source disappears. Store Food Appropriately - Island foxes are clever. Even campers who do not intentionally feed island foxes can sometimes become a source of food. We have heard cases of a single island fox taking an entire plastic bag with eight hamburger buns right off of a picnic table. Plastic and food wrappers can appear to be food and cause injury to island foxes. 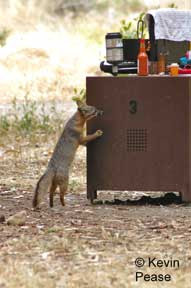 (see island fox and fishing hook) The NPS campgrounds offer food lockers to secure food items. 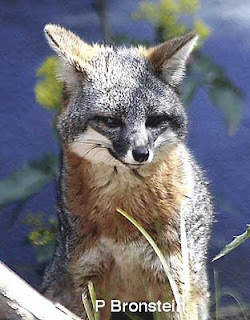 Island Foxes Are Wild Animals - Even though the island foxes are cute and friendly, they are wild animals. 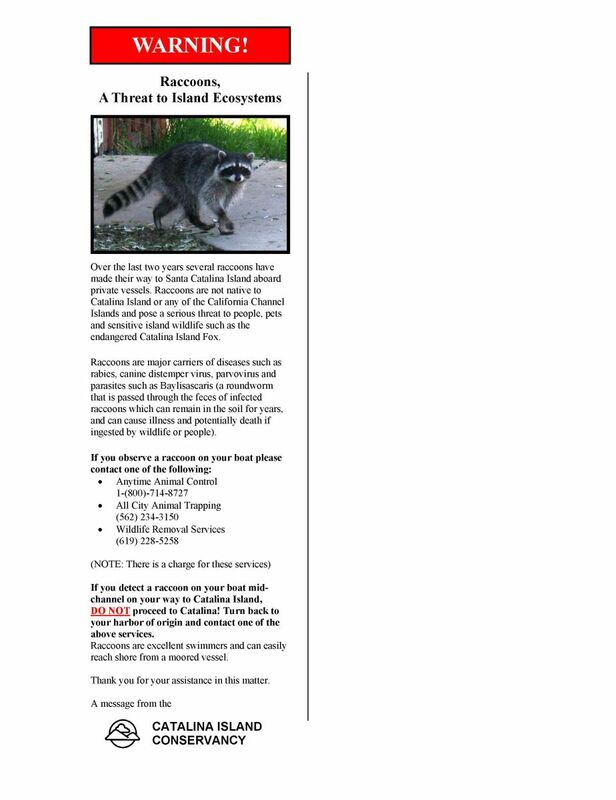 A woman feeding an island fox on Santa Catalina Island was bitten. The Center for Disease Control can require that any fox that bites a person be euthanized to insure that it is not carrying rabies. 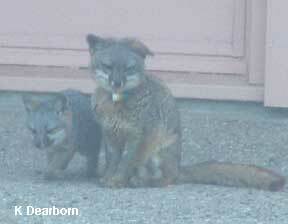 Leave Your Pets At Home - Island foxes can acquire diseases from domestic dogs and cats. The distemper virus, which can be carried by dogs, caused the death of over 88% of the island foxes on Catalina in the late 1990s. As wild animals, island foxes can also carry diseases that are dangerous for pets–parvovirus, coronavirus and internal parasites. Some of these diseases can be transferred simply through animal droppings and do not require animal-to-animal contact. While many island foxes are vaccinated for rabies and distemper, not all of them are. 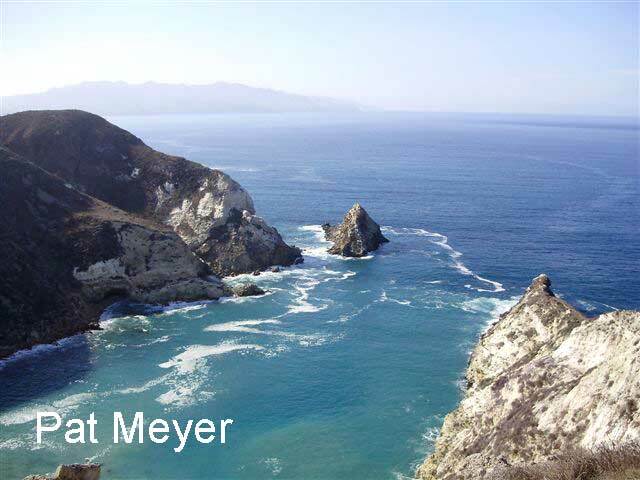 It is illegal to take pet dogs or cats on to any of the islands that make up Channel Islands National Park. On Catalina Island dogs are required to be leashed. Several island foxes have been attacked and killed by free-roaming domestic dogs. 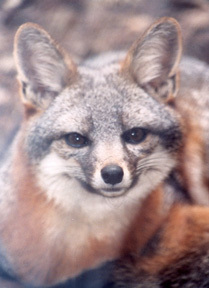 Southern Californians have worked very hard to save the island fox from extinction. The reward is that now we can see island foxes in the wild again. If we all act with respect and responsibility toward our friend the island fox, we can insure their continued success toward sustainable populations. 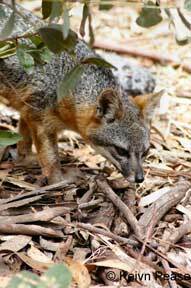 If you can’t travel out to the Channel Islands, you can visit island foxes in several local zoos. Photos courtesy of Kevin Pease. Listen in as Friends of the Island Fox V.P. of Education Keri Dearborn returns to the EverGreen Show, an environmental education radio program produced for California State University, San Bernardino's Internet radio station. They'll be discussing why the island fox was vulnerable to dramatic population decline and how the population is recovering. and replays Thursday, June 3 from 6-6:30 PM. Across the Channel Islands a new generation of island foxes are being born. 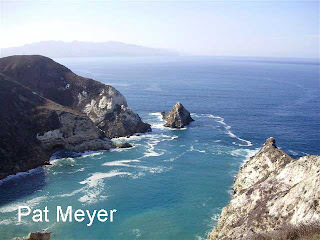 Each litter of pups are an important step toward full recovery for the endangered populations on San Miguel, Santa Rosa, Santa Cruz, and Santa Catalina Islands. Island foxes reproduce only once a year, in the spring. This year's weather has been good for native plants which suggests we could see a large number of healthy island fox pups. With small parents, island fox pups, or kits, are very tiny at birth. They weigh approximately the same as two AAA batteries and would easily fit in the palm of your hand. Young foxes are very vulnerable and are born in a den. The den provides protection from weather and other animals for the first weeks of their lives. Here the mother feeds them milk until they start to eat solid foods. The father brings food back to the den both for his mate and the pups. Unlike most other canines, island foxes don't appear to dig. They must find a den site either in a hole dug by another island species, (spotted skunk, ground squirrels, etc.) or a naturally made hollow under dense vegetation, tree roots or rocks. Pups born in March or April are emerging from dens on the islands in May. Both parents care for the youngsters, helping to feed them and teaching them how to find food. This pup is with its father, an older male, in the fog on San Nicolas Island. Island foxes grow up fast and by September they will be ready to leave their parents and strike out on their own. 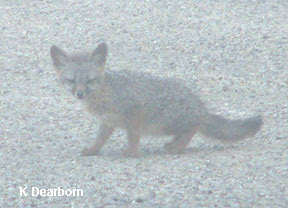 Annual counting of island foxes doesn't occur until the fall to insure that pups are weaned and somewhat independent. During trapping and counting, island foxes also undergo annual health checks. 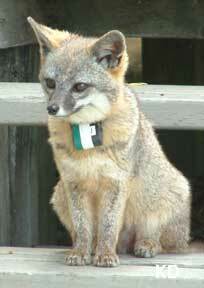 Radio monitoring collars are replaced or put on and island foxes are given vaccinations against distemper and rabies. 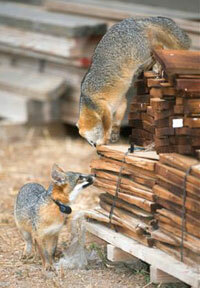 Last year biologists recorded impacts on island foxes from climate change. Continued drought reduced fruit on the islands' native plants. The combination of increased temperatures, low rainfall and reduced food resources caused the litter size born to each pair of island foxes to be small. A normal island fox litter is 2-3 pups. In good years, litters of up to 5 pups are possible. Unfortunately, the pups born in 2009 also had reduced birth weight, impacting their survival. This year's normal rain levels may bring more positive pup numbers. Biologists are hoping for numerous healthy pups to continue the island fox's successful recovery. How Do Island Foxes Protect Themselves? The island fox protects itself like any member of the dog family. It can run away. An island fox can run fairly fast, even leaping as it sprints. (watch M67 run as he is released into the wild) Because of its small size, an island fox can run under and through dense chaparral and grasses. Its coloration also helps the island fox hide, this is called cryptic coloration or camouflage. 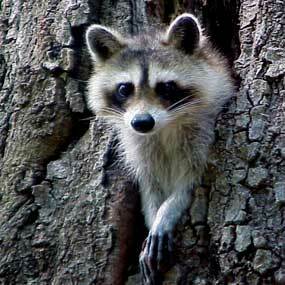 It can climb, either up steep rocks or even up into trees to escape. It can bite. It has sharp teeth and can bite like any small dog. Why do they need to protect themselves? Prior to 500 years ago and the arrival of European people, island foxes did not have any kind of a predator from which they needed to defend themselves. 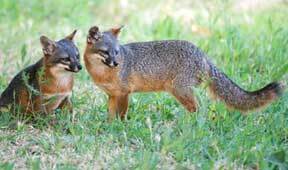 Today island foxes need to defend themselves from people, pet dogs, feral cats (cats that have gone wild), cars (on San Nicolas, San Clemente, and Santa Catalina Islands), occasionally golden eagles and introduced raccoons (on Santa Catalina Island). Already this year, an island fox was killed by a pet dog on Santa Catalina Island. 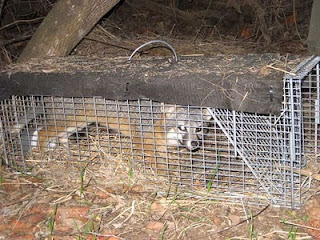 Feral cats are currently being trapped and relocated away from San Nicolas Island to protect island foxes and other endemic island species. Friends of the Island Fox works with the islands where foxes are hit by cars. One of our Ambassador Schools raised funds to add signs along roads to encourage motorists to watch for island foxes. Disease introduced either by domestic dogs and cats or raccoons accidentally introduced to the islands can be fatal to island foxes. 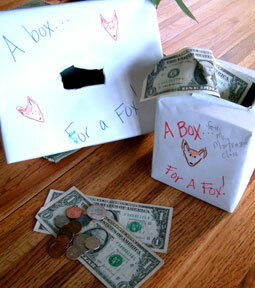 A $10 donation can vaccinate an island fox against rabies and distemper. Friends of the Island Fox works with Channel Islands National Park and the Catalina Island Conservancy to help fund vaccinations. 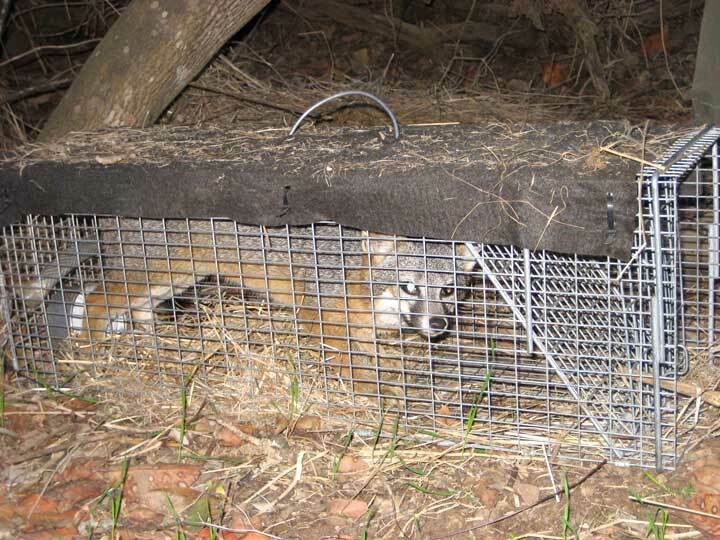 Private donors and Ambassador Schools have played a vital role in providing vaccinations for endangered island foxes. You can help protect island foxes. Your donation can go a long way toward educating the local community and providing vaccinations for island foxes. We will be located near the island fox exhibit in the heart of the Zoo. Come by, say ‘Hello’ and meet an island fox. Today is a Landmark Day. Friends of the Island Fox is proud to announce the funding of our 50th radio collar! Despite the difficult economic times, people like you have stepped forward to play an active role in saving the endangered island fox. Because island foxes live only on the Channel Islands, like all island species they are small populations that can be quickly impacted by the introduction of disease, ecosystem imbalance and potentially, climate change. 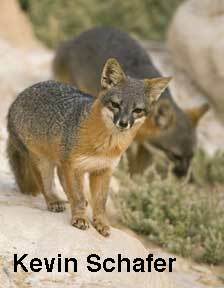 Your support of island fox conservation efforts is vital to the survival of this endangered California species. As we begin 2010, Friends of the Island Fox thanks all of you for renewing your effort to insure that this keystone species survives into the future. You can help fund additional radio collars, vaccinations and conservation efforts by CLICKING on the Donate Now buttons at the top of the page.